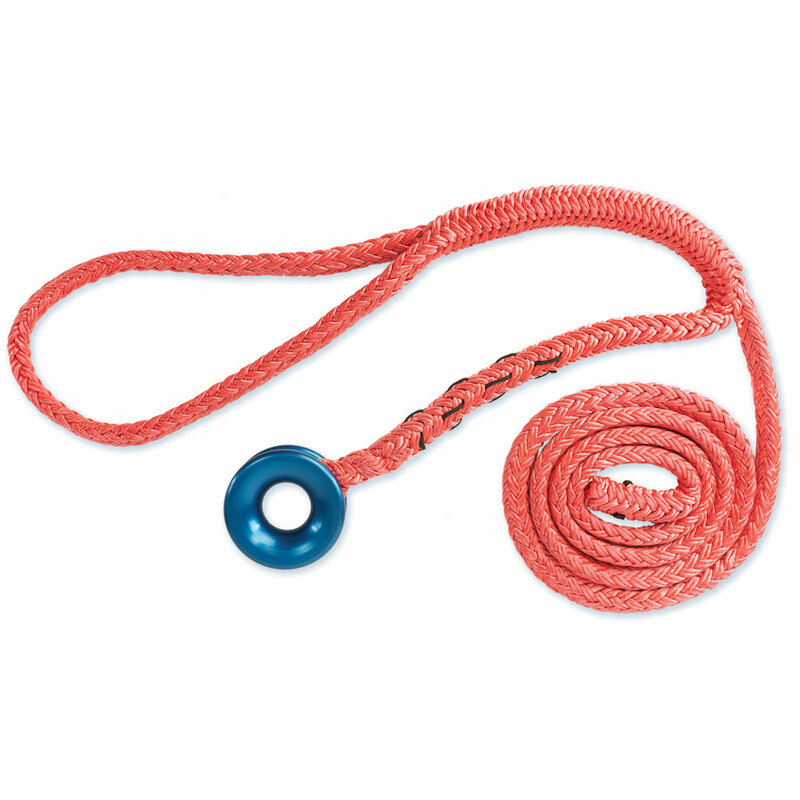 Loopie Slings are adjustable continuous loop slings made from Samson Tenex rope that makes knotless rigging possible. One of the most popular uses of this sling is to attach a block at the top of the tree without having to tie a knot. Available in multiple lengths, this is a great item for rigging secondary pulleys, redirects, and multiple anchors to help loading on the main pulley. 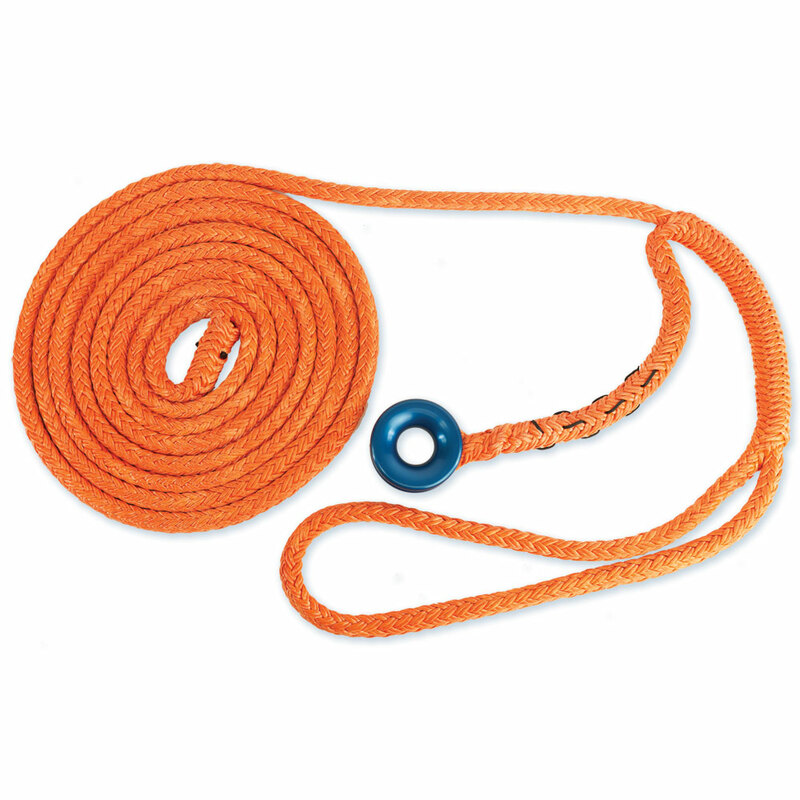 Whoopie Slings are made from 12-strand polyester Tenex rope & designed for knotless rigging. One eye is fixed and the other is adjustable, with one end of the spliced rope passing through the center of the hollow core. Set the choker and shorten the eye to adjust length. When weight is applied to the sling, the outer core tightens on the rope. Get a sling and block combo on our blocks page and save $5! 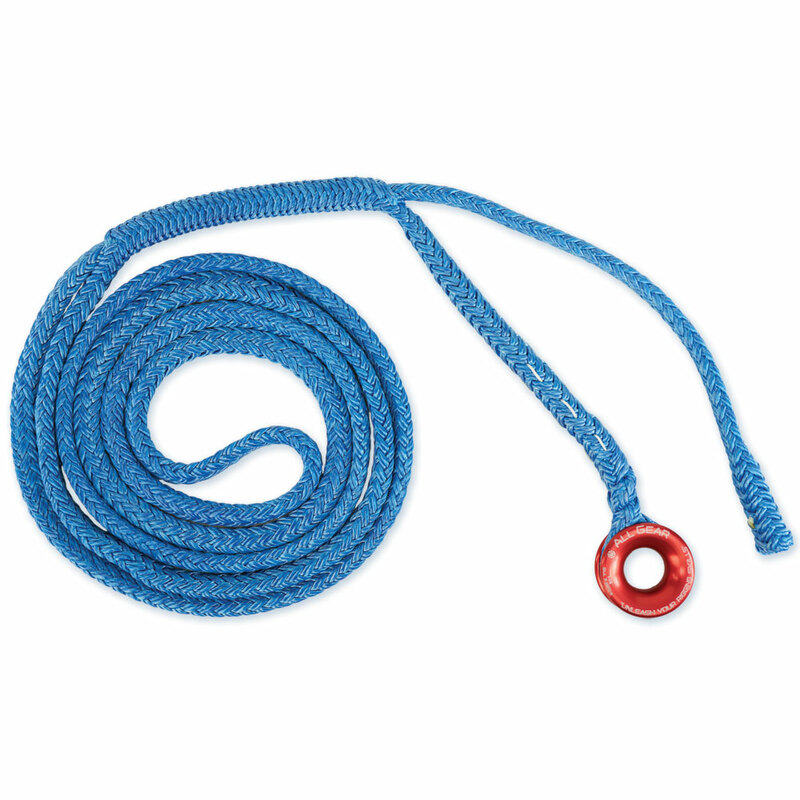 Adjustable Tenex round sling makes it possible to rig without tying knots. Forms a loop which can be adjusted to the right size and girth hitched around the tree. Can be used for blocks, friction devices, etc. Professionally hand-spliced from Samson Tenex 12-strand polyester. Our WLL rating is very conservative & calculated with the sling in the weakest configuration, the choker. Quickly set hardware without tying knots! Each Whoopie sling has a fixed eye and an adjustable eye. Set the choker and shorten the eye to adjust length. This sling is often used to attach blocks or Port-a-Wraps to the tree, because the adjustability minimizes slack in the system. Professionally hand-spliced from Samson Tenex 12-strand polyester. This adjustable Whoopie sling has a 1 1/8” inner-diameter rigging ring spliced into the fixed eye, and one large adjustable eye. Made from 1/2” Tenex TEC. 5/8" Rigging Ring Whoopie Sling New in 2019! Whoopie slings with low-friction rigging rings spliced in open up new options for your rigging. Spliced from Samson Tenex TEC - the best choice for tree rigging slings - by the professionals at Iron Street Rope Splicing. 3/4" Rigging Ring Whoopie Sling New in 2019! Travis Morales in FL asked us to build one of these. He uses it as a satellite pulley and also to negative-block small material with great success. This Loopie sling has the compact and powerful Pinto Rig pulley spliced onto it, with spacer to maintain the integrity of the pulley under load. 3/8" Loopie adjusts to 3.5' and has a WLL in choker of 567 lb. 1/2" Loopie adjusts to 4' and has a WLL in choker of 1,125 lb. This version of the popular Loblolly sling brings the advantages of the Omni-Block to this light rigging sling. Built-in swivel keeps the rigging block in optimal position with the line. This version has the advantage of the Omni-Blocks locking sideplate which swings open for midline installation on the rigging line, and then locks shut with an audible "click". Omni-Block 1.1 spliced onto Samson Tenex in a Loopie Sling. After building several of these slings for customers, we decided to feature them in our catalog. 1/2" Loopie spliced onto the Omni-Block 1.5 makes for a slick rigging setup. Omni-Block has a manufacturer WLL of 900 lb. 1/2" Loopie adjusts to 4' and has a WLL in choker of 1,125 lb. The Screamer Loopie is a standard 1/2" Tenex TEC loopie with Yates Screamers spliced on. The Loopie can be used in the standard configuration, with the Screamers only put into play when needed (single or doubled). Screamer Loopie overview by Niceguydave.